​In the early 1990’s the Great Lakes District Alliance Men discovered a need within the district. It was found that while we were actively sending missionaries to the mission fields and supporting them while out on the mission field, these missionaries would return back to the United States either on Home Service or for medical or other reasons and not have a dependable vehicle available for them at their disposal. In 1995, the Great Lakes District Alliance Men began a ministry called Alliance Men Providing A Car, or AMPAC for short. Through the AMPAC ministry the Great Lakes District Alliance Men have been able to secure and maintain vehicles for missionaries when they return to the Unites States. and help build the Kingdom of God, and to this end we will labor until Christ’s return. We could really use your help ! There are many ways you or your church can get involved. Due to the nature of this ministry, constant funding and car maintenance is necessary to keep the ministry alive. From its beginnings, AMPAC has been solely supported by the men of the local churches of the Great Lakes District. ​Without the needed annual support of individuals and the local churches, AMPAC would not be possible. and receive a fair market value tax deduction. 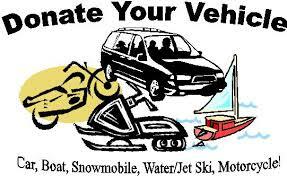 If it is a vehicle we can use we will put it into circulation. If the car is not appropriate for AMPAC use or if the vehicle is to old we will sell it and use the money for the purchase of or repairs to other AMPAC vehicles. One way in which we collect funds for this ministry is by the collection of loose change. The local chapters of Alliance Men that wish to support AMPAC are given change jars to pass out to their members. The members collect their loose change in these jars and monthly, or bi-monthly collect the loose change and donate to AMPAC. Of course individual donations are also gladly accepted. For more information go to the bottom of this page. Alliance Men try to do whatever maintenance we can in order to keep costs down. We are also constantly buying and selling cars to be sure to have the best possible condition car available for our missionaries. 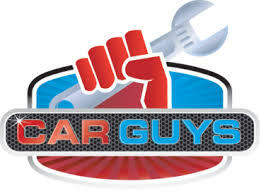 We always welcome help for :"Car Guys" , that is guys who know about car maintenance, values, etc. ​If you like cars and want to use that knowledge to assist us and our missionaries click the more information link below.